Another of our “Mediterranean Corners of Paradise” (Coins de Paradis®), Plage des Salins d’Hyères is agreeable in all weather conditions and all seasons! This is the nearest beach to “Camping de la Pascalinette” – just 5 minutes by car or 15 minutes by bike. This sandy beach stretches 2 km and offers a very gentle slope. The beach is well-sheltered from prevailing winds. You can also park easily thanks to the two free car parks. There is a private beach and restaurant/snack bar at the start of the beach, near Les Salins military port, plus showers and toilets. A footpath (also suitable for mountain bikes) runs along the beach and sea front to La Londe-les-Maures. 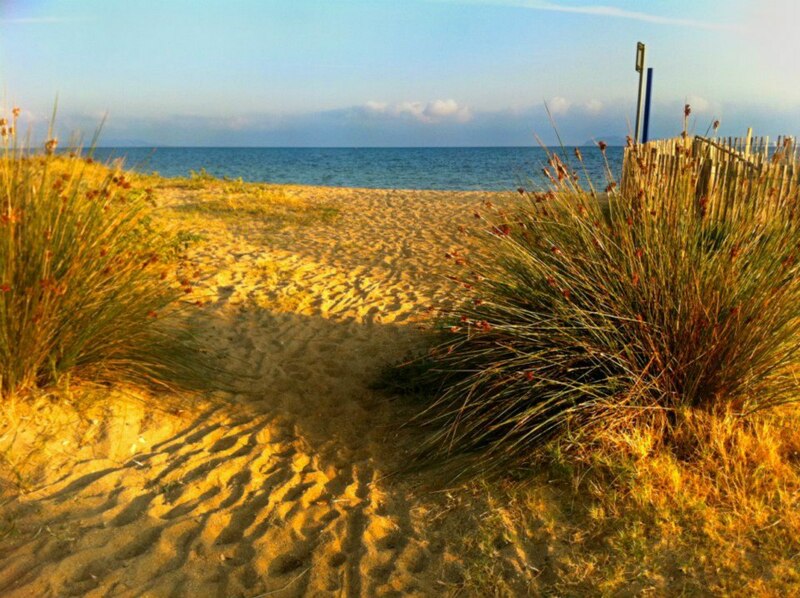 This vast, sandy beach leads onto a family-style naturist beach lined with a large pinewood. This is an excellent jogging site too and runs along the ornithological reserve where you can admire nesting storks, ducks and pink flamingos – a fabulous show that never fails to enchant!